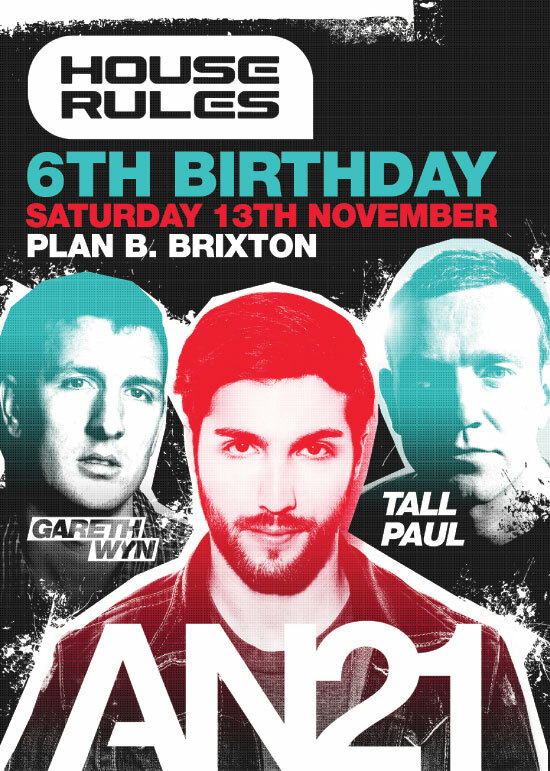 On Saturday 13 November House Rules are celebrating their 6th birthday with a party at Plan B in Brixton in south London. From Steve Angello to Deadmau5, James Zabiela to Michael Woods, House Rules has attracted some of the hottest djs around and created ‘buzz’ on the London club scene. Headlining the birthday party will be Swedish House Mafia protege AN21. Alongside him on the decks will be Cream Ibiza resident Gareth Wyn and the mighty Tall Paul who will be making a rare appearance away from his home at the Gallery. Tickets can be bought in advance from www.houserules.tv to experience that special House Rules atmosphere and the amazing Funktion One sound system.